Selling my blissfully sparkly and beaded Roz La Kelin Aries ball gown. I am happy to see it go to another bride to give them a spectacular and enjoyable wedding day. 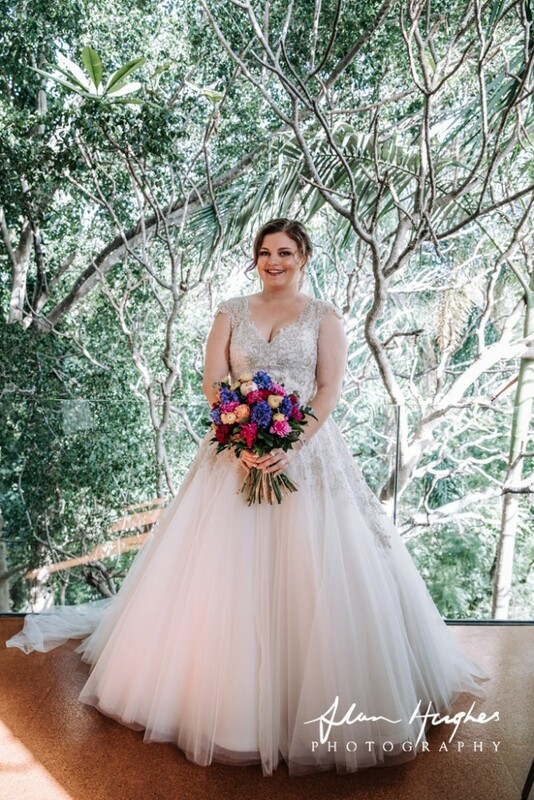 This Aries gown is a Wedding Dress AU size 20, I am usually a standard dress size 14-16. 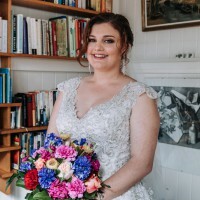 This dress has been worn once on my wedding day and has since been professionally dry cleaned. The dress is champagne in colour made from 100% polyester and covered with tulle, embroidery and beading. It has a lace up back. The dress is in excellent condition but as it is floor length it does have some very small tears in the netting at the bottom of the dress. These are extremely hard to see as the netting is part of a very full skirt. The dress has had some minor alterations to the sleeves. No alterations made to the length of the dress or the waist.